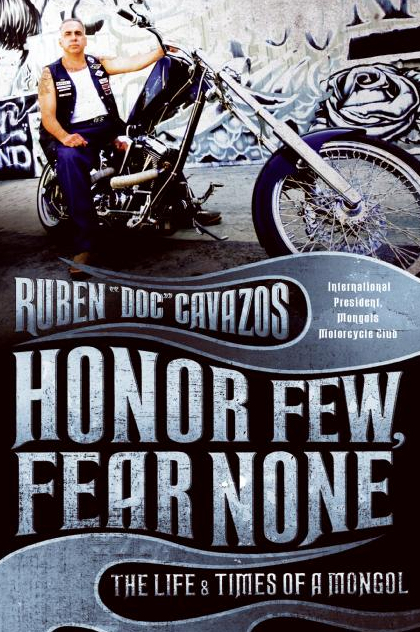 It looks like a new “chapter” is about to be written for Ruben “Doc” Cavazos (former Mongol Motorcycle “Club” President). Cavazos wrote a memoir titled “Honor Few, Fear None: The Life and Times of a Mongol” published just this past June by HarperCollins. Cavazos was a CAT scan technician at the University of Southern California Medical Center by trade, but many knew feared him as Doc, the International President of the Mongols. The press wires are flooded today with reports about massive raids and the Federal Bureau of Alcohol, Tobacco, Firearms and Explosives (ATF) (press rel. HERE) infiltrating the Mongols MC after early morning arrests. L.A. Times reports that ATF agents served more than 160 search warrants and 110 federal arrest warrants as part of a three-year, undercover investigation dubbed “Operation Black Rain”. Most of the arrests occurred in California where over a 1000 heavily armed federal agents performed sweeps in the San Gabriel Valley. Reports from Nevada (Reno), Oregon, Colorado, Washington and Ohio who were part of the take down are starting to filter in. In Nevada they arrested 7 of 11 members. In Colorado, 10 of the 11 members were arrested along with several other people mixed up drug trafficking charges. Nothing as of yet out of Oregon press. In Oregon authorities made no arrest, but did issue several search warrants. I’ve written previously about motorcycle “clubs” and the Mongols in the Northwest HERE, HERE and HERE. 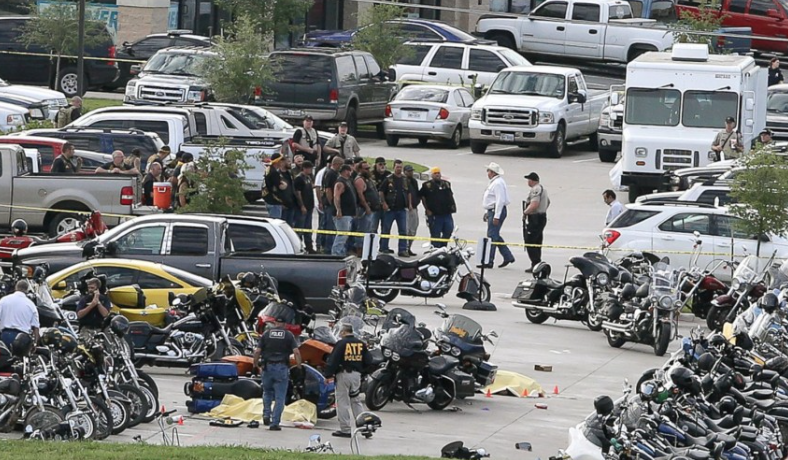 “They were so experienced… they became full-patch members of the Mongols, which is an outlawed motorcycle gang. They were living and breathing day to day with those guys”. Mangan went on to say that four undercover women ATF agents were involved in the operation as biker girlfriends to help legitimize the operation. One of the more important parts of this action isn’t the large number of people taken down or how ATF achieved such deep cover inside the operation… it’s the move by the government to seize the intellectual property of a ‘club.’ Of course all the RICO laws apply, but the U.S. Attorney, Thomas O’Brien is seeking the ability for the government to “own” the IP…that would mean they own the design, the trademarks, who has access to patch usage etc., and have the ability to then have LEO stop any member wearing the Mongol “patch” and could literally take the colors from anyone in the furture. That could essentially shut them down…at least with these colors dating back to the 1970’s. Lastly there were news references to the Mongols MC recruiting Hispanic (non-motorcycle riding) street gangs into the club which was creating a rif. This is somewhat similar to the many reports coming out of Denmark/Copenhagen where the AK-81 (HAMC support group) has increased the armed conflict with immigrant gangs over territory. Sean Royce has detailed a great deal of this activity since at one time the apartment he lived in looked directly at the HAMC club house. The point being it’s not just a U.S. issue. Again these are allegations by LE at this point – we do have presumed innocence in the U.S. – I’ll follow details and update the post with Northwest related news as appropriate. UPDATE: October 22, 2008 – KPTV/Fox reported that northwest homes raided yesterday were in Turner, St. Helens, Vancouver and Milwaukie. Video HERE. Police didn’t arrest anyone in Oregon or Washington but investigators said they confiscated 18 firearms, about two pounds of marijuana and a computer. UPDATE: October 23, 2008 – AP reporting that U.S. District Court Judge Florence-Marie Cooper granted an injunction that prohibits Mongols “club” members, their family members and associates from wearing, licensing, selling or distributing the Mongols logo. That is unprecedented court action! Full 177-page federal grand jury indictment located HERE (.pdf). Courtesy of InsideSoCal. UPDATE: October 9, 2009 — Under RICO, the U.S. Government tried to strip the Mongols MC of their logo, and make it the property of the government. After getting a preliminary ruling allowing them to do so, the Feds have been going into private property of American citizens to confiscate patches, including by some reports breaking into cars and homes to do so. Judge Florence-Marie Cooper ruled last month that a) the government can’t take the trademark, and b) even if they could, they have no right to go around confiscating patches or other items containing the mark from private citizens who are not under indictment. And, even if the Court were to assume that the collective membership mark is subject to forfeiture, the Court found no statutory authority to seize property bearing the mark from third parties…. only defendants’ interests in the RICO enterprise and the proceeds from their racketeering activity are subject to forfeiture. 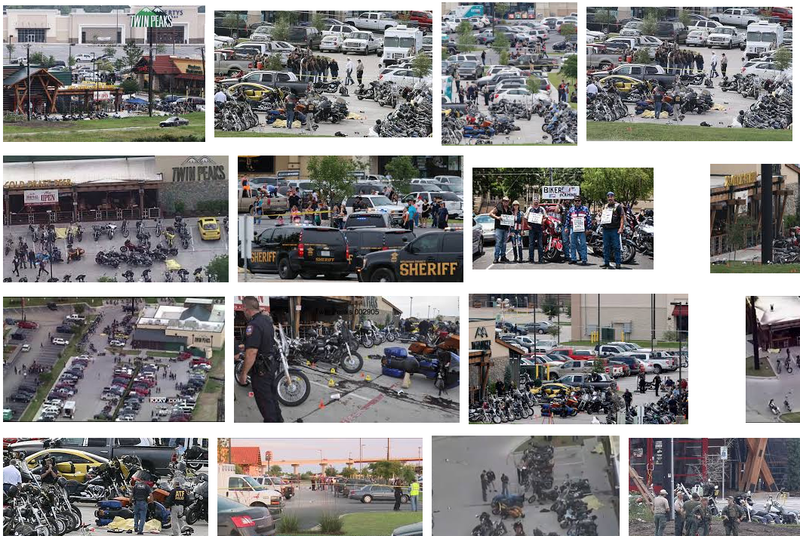 The net of all this is the Mongols MC get to keep their patch, and the Feds have to stop making searches and seizures on the basis of merely possessing it. The .pdf of the ruling is HERE. Cover artwork courtesy of HarperCollins web site.